So far in this series I have only mentioned two blue cheese, both made with cows milk. 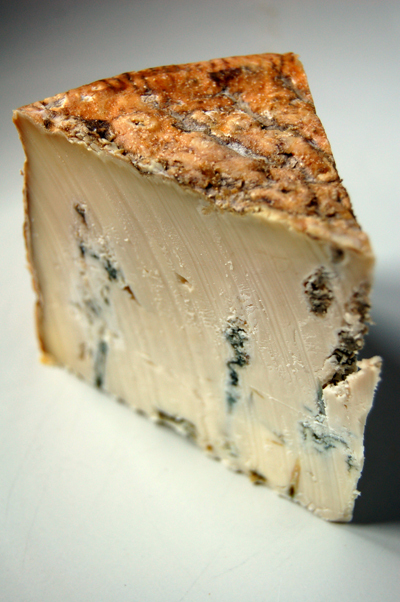 Today I change that and present a Goat Blue - it's from Gippsland (which is here in Victoria) and the Tarago River Cheese Company well known for producing sublime blue cheese such as Paalo's favourite, Shadows of Blue. The cheese is made in 2kg rounds and this is just of piece from that. 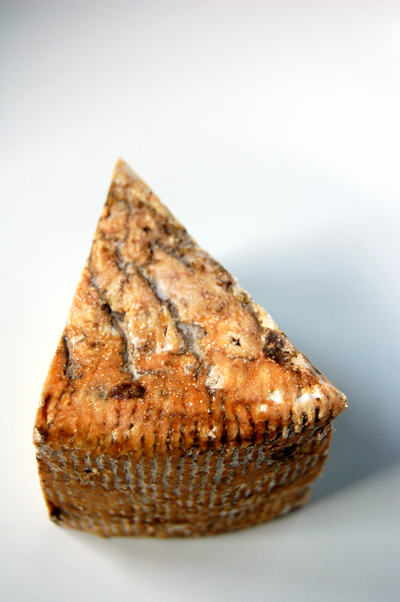 As you can see it has quite a rustic look to the rind. 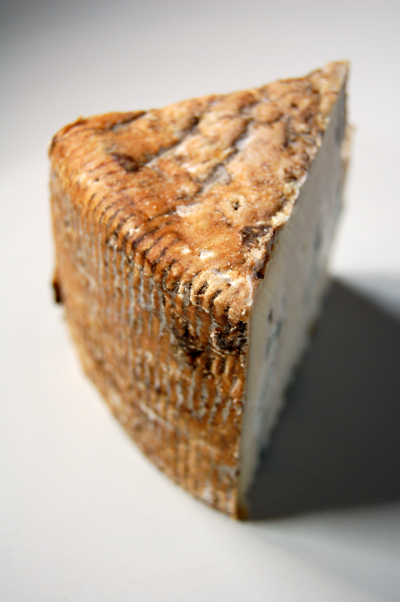 Maturation takes 8 weeks and as it ages the texture changes from being slightly chalky to a soft and creamy consistency. The veining is distinct but well spaced - the colouring varies from a light to dark green. On face value you might take it for a fearsomely flavoured blue but you'd be in for a surprise. 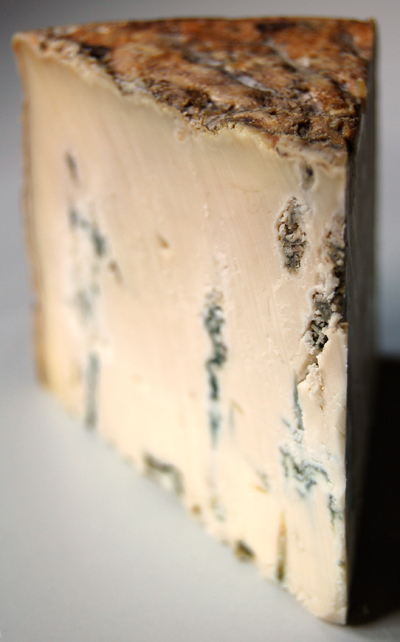 It's not highly scented, the goat milk adds a sweetness to the cheese and the blue just brings in another flavour. It's quite sticky and creamy in the mouth, with a pleasant lingering flavour. Besides enjoying it as it, this cheese is well suited to be added to salads.